To the left of the name of each project on your Schedule you’ll a colored square. 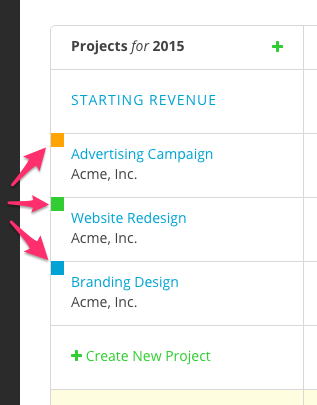 These colors correspond to the current status of each project. You manually determine the status of each project by selecting the appropriate status when editing or creating a project. To learn more about projects view the Projects support articles.